Many remote Andean communities lack basic services such as electricity and clean drinking water. Students' learning achievement is often low and there are high rates of teacher and student absenteeism through sickness. Schools have little opportunity to access information and communications technology, leaving these communities isolated from many of the advantages of modern education. Students at rural primary schools without internet access are at a disadvantage when continuing their secondary and higher education. 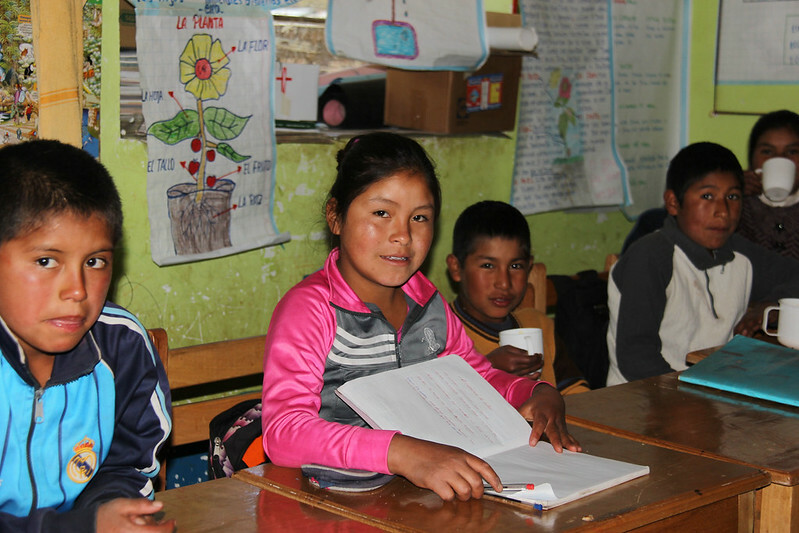 This project seeks to improve the learning of students at eight primary schools in the Apurimac region through access to energy services, safe water and adequate sanitation and information technology. The project will improve educational conditions, reduce student and teacher absenteeism, and increase student achievements, leading to a brighter future for these communities. Teachers working in these rural areas wiil be able to take advantage of technological resources developed by the Ministry of Education through the digital PeruEduca system. They are easy to maintain and the community will receive training to enable them to manage the facilities. Children are learning about the importance of handwashing and tooth brushing, now that they have access to clean water. Practical Action is helping the Chinchipe communities in the Amazon cloud forests to protect their environment while, at the same time, improving their livelihoods. Practical Action's projects with information and communication technology systems (ICTs) in Peru and Bolivia. Conventional market mechanisms do not always deliver clean water and sanitation in small towns in Peru and Bolivia. New management models and local capacity building is required.